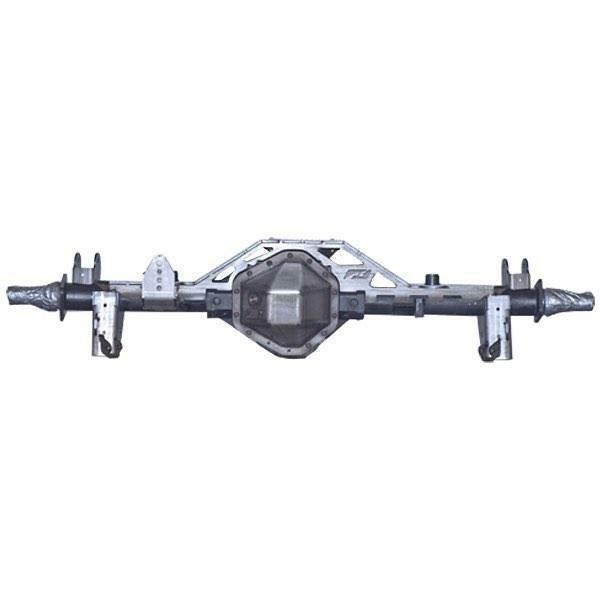 The kit was designed to work with the GM 14 bolt rear axle that was found in 1996-2006 GM 2500 and 3500 Single Rear Wheel axle trucks. The wheel mounting surface (WMS) will be 68"s wide and the casting on the center differential has lots of ribbing. Do not use an axle from a van as the differential is offset. When installing this axle, remember that you will need to address things such as the 8x6.5 bolt pattern vs. the Jeep's factory 5x5 bolt pattern. Also brake components such as the tone rings and abs sensors will need to be addressed as they are not included in this kit. Optional HD steel diff cover (MB4012) is also available at a discounted rate in the drop down menu. 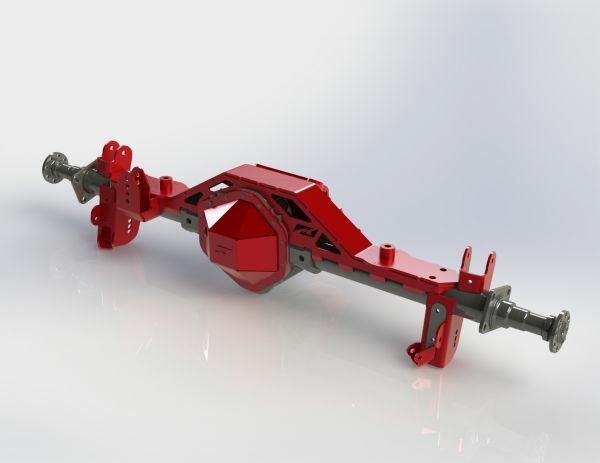 The axle truss ships raw steel and will recquire professional welding. Easy install with no measurements needed. Can easily by changed if you want to run a custom suspension design.